Choosing a decent compact digital camera from the limitless lineup of near-clones is no easy task, but anyone looking to pick up something new could do a lot worse than the latest FinePix from Japan. 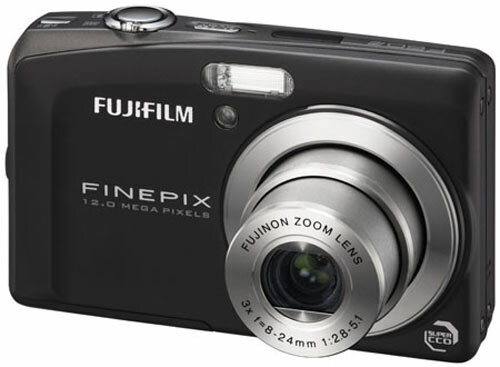 Fujifilm’s F60fd is a 12-megapixel snapper with the usual 3x optical zoom and a 3in LCD round back. As successor to the F50fd it has plenty to live up to, which it does well. Generally excellent reviews highlight accurate scene selection, face recognition and good color reproduction, although a zoomier lens would be nice. Still, at least the fact that it’s now a few weeks old and dropping rapidly in price makes it less of a gamble than the newest gear from the likes of Sony. US prices for the F60fd are currently as low as $180, while the same model can be had in the UK for £140. Camera Labs (84%) and Test Freaks (Freak Score 8.1/10) both have the full lowdown, so go check ‘em out and don’t forget to get clicky with it while over there.